Busmessing rond 1,0 gat 0.6 mm. Busmessing rond 1,3 gat 0.9 mm. Busmessing rond 1,5 gat 1,1 mm. Busmessing rond 2,0 gat 1,1 mm. Busmessing rond 2,0 gat 1,4 mm. Busmessing rond 2,5 gat 1,6 mm. Busmessing rond 3,0 gat 1,0 mm. Busmessing rond 3,0 gat 1,6 mm. Busmessing rond 3,0 gat 2,1 mm. 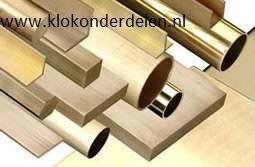 Busmessing rond 4,0 gat 2,0 mm. Busmessing rond 4,0 gat 3,1 mm. 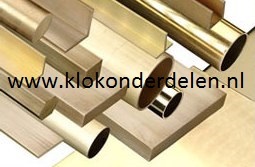 Busmessing rond 4,5 gat 3,6 mm. Busmessing rond 5,0 gat 3,0 mm. Busmessing rond 5,0 gat 4,1 mm. Busmessing rond 5,4 gat 4,6 mm. Busmessing rond 6,0 gat 4,0 mm. Busmessing rond 6,0 gat 5,1 mm. Busmessing rond 7,0 gat 5,0 mm. Busmessing rond 7,0 gat 6,1 mm. Busmessing rond 8,0 gat 5,0 mm. Busmessing rond 8,0 gat 6,0 mm. Busmessing rond 8,0 gat 7,1 mm. Busmessing rond 9,0 gat 7,0 mm. Busmessing rond 9,0 gat 8,1 mm. Busmessing rond 10,0 gat 6,0 mm.